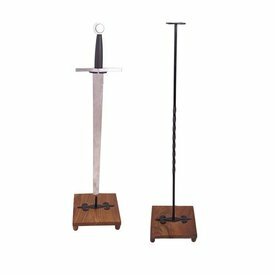 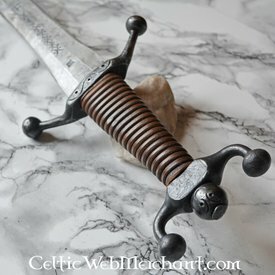 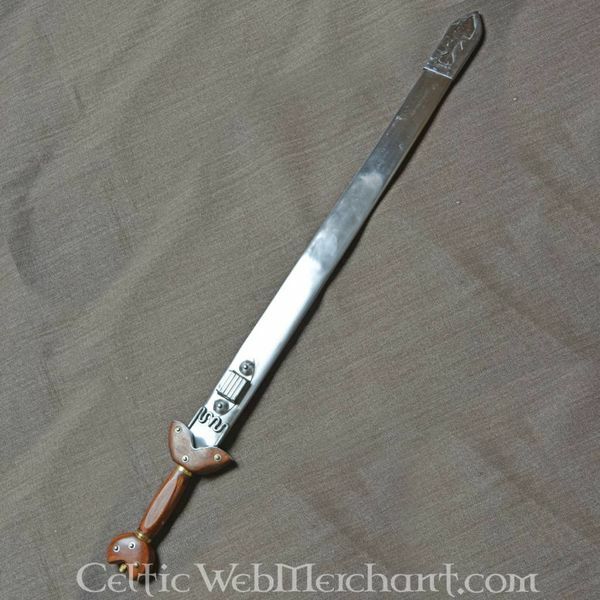 This sword is a replica of an original from the 3th-1st century BC found in the Marne area. 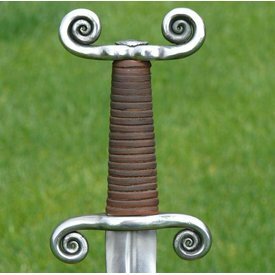 Nowadays it`s part of the collection of Musée d`archéologie nationale near Paris. 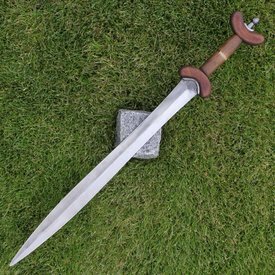 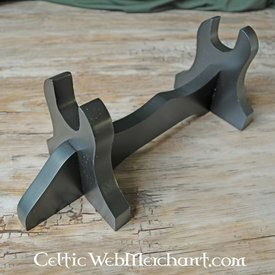 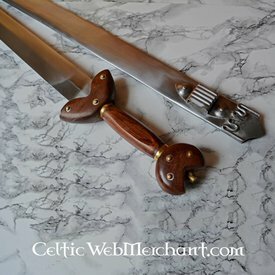 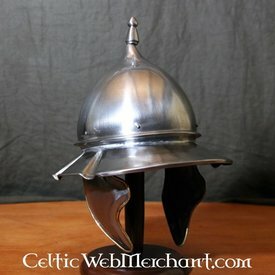 Swords like these were used during Caesars Gallic wars. 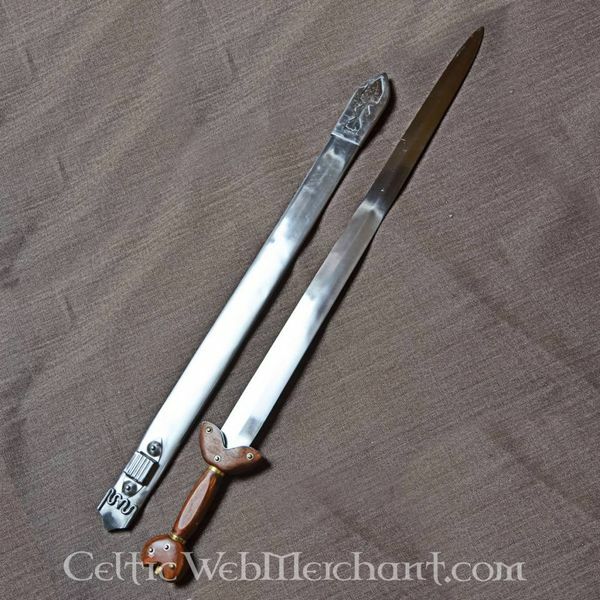 The sword is 101 cm long, with a blade of 83 cm long. 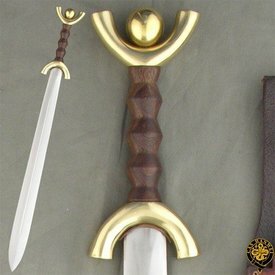 The hilt is made of wood. 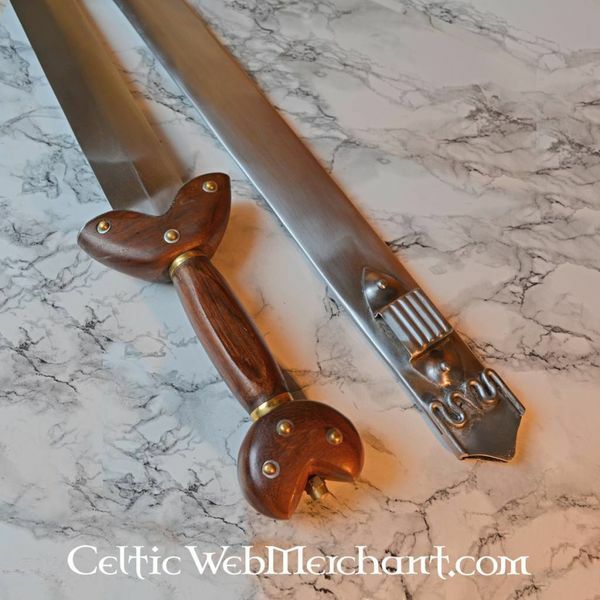 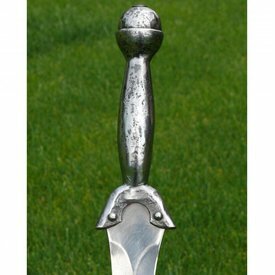 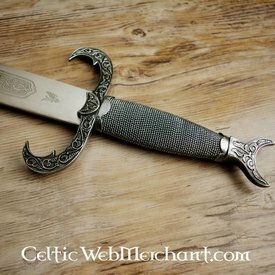 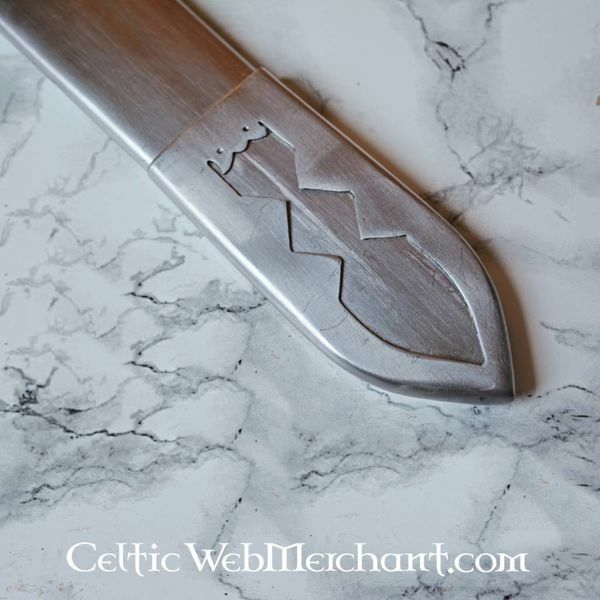 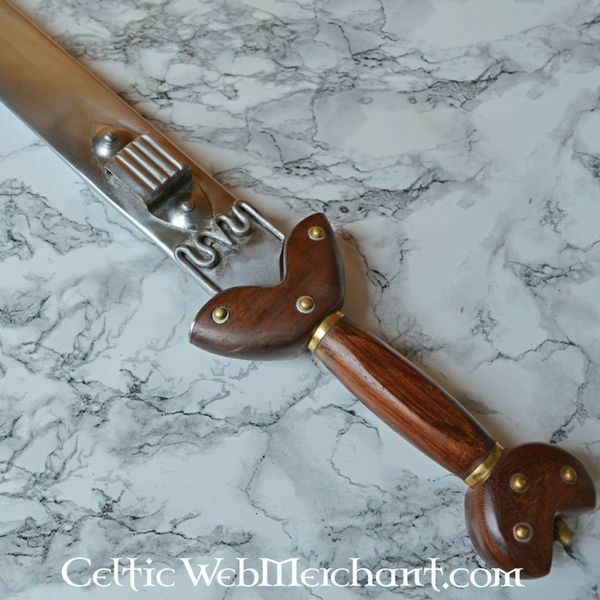 The sword comes with a iron scabbard decorated with ornaments in the La Tène style of art.